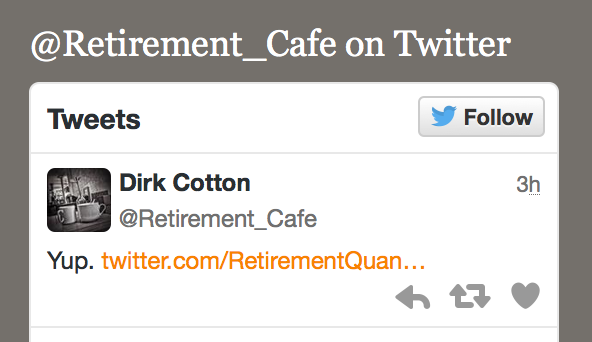 Thanks for reading The Retirement Cafe´. There are a number of ways you might get more value from the blog. Here are a few suggestions. 1.) Images can be small and difficult to read in the blog. 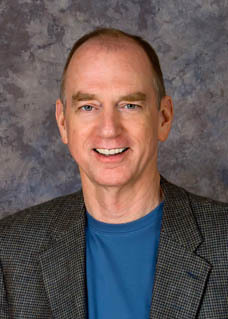 Click on an image to increase its size in a new window. Or, to zoom in on text or images, type “CTRL +” or “CMD +”. Change the + to a - to make the font smaller, or change it to a 0 (zero) to change the zoom back to normal. Whether to use the Control button or the Command button changes by browser and operating system, so just try both to see what works. 2.) Text that appears in yellow will provide an explanation of the highlighted text if you hover the cursor over it and wait a few seconds (sometimes called a “mouse-over”). Hover your cursor over the yellow text and try it out. If that isn’t enough information, clicking on the link will often open another browser window with even more information. Closing the new window will take you right back to the one you were reading. 3.) Clicking orange text opens another website in a new window without closing the one you've been reading. Again, closing the new window will take you right back to the one you were reading. I tweet a lot of links to posts you may not have noticed from great retirement writers like Wade Pfau, Michael Kitces and Moshe Milevsky. If you don’t use Twitter, you can see the tweets here on my blog. 5.) I try to keep a recent retirement news story at the bottom of the right column that I think might interest you. It won’t always be about finance, but it will almost always be about retirement. There is another “Search this Blog” box at the bottom of the post. 7.) Click the red “G+1” to recommend this post on Google Plus. 8.) I place key points in a “Tweet This” box like the following. If you are a Twitter user, you can click on the orange [Tweet This] link and retweet the information in the box with a link back to my post. Spending a sustainable amount of your portfolio is retirement savings insurance, not bankruptcy insurance. 9.) I try to point out the key take-aways of each post in the summary paragraphs at the end. 10.) Links to my other recent posts appear in the right column just below my bio. 11.) I post roughly once a week, but not always on the same day. The best way to be notified that I have published a new post is to enter your email address in the Follow by Email box, also in the right column and just below Recent Posts. The entire post will appear in your inbox. Clicking the title of the post within the email will take you to the post on my website, where it might be easier to read, and you will have access to the other features mentioned above, but you can also just read the post in your email. 12.) Often, the best part of a post will be readers' comments at the bottom. They have great ideas, great opinions and they give me an opportunity to explain parts of the post that perhaps were less than totally clear. I encourage you to read them, but also to post your own comments and questions. A permanent copy of this information is available at the page link in the right column of the blog. You will find the link under "Resources" and "Reading Tips". I hope these tips make Retirement Cafe´ even more valuable for you. Thanks for reading!